European ISPs are up in arms over the BBC’s new online TV player, iPlayer. Concerns from service providers such as Tiscali and companies like Carphone Warehouse center around, of all things, a fear of the BBC’s player being too successful and pounding their networks during peak hours. 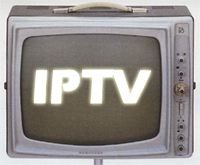 Apparently the internet isn’t ready for IPTV. As the Financial Times reports Mary Turner, CEO of Tiscali UK says, “The internet was not set up with a view to distributing video. We have been improving our capacity, but the bandwidth we have is not infinite”. Add to this concerns over Joost’s ability to compete head to head on quality with other online video providers and it paints a poor picture for TV getting online. However, this seems a thinly veiled return to the net neutrality debate that periodically pops up when ISPs start thinking of ways to increase revenue without increasing network capacity. As GigaOm cites, it could cost UK ISPs up to $2 billion to upgrade their capacity to match increasing demand. We’re due for an upgrade in the U.S. The U.S.’s top broadband speeds actually lag behind other OECD countries. Japan’s surfers can connect to the internet on a 100 Mbps Ferrari compared to the U.S topping out at a 40 Mbps 1970’s hatchback. They also pay much less, $0.22/Mbps to our $3.10/Mbps. And to think companies brag about a $260/month 50 Mbps connection in Sacramento. New IPTV startups are only a slice of internet traffic. According to a report by CacheLogic, more than 60 percent of Internet traffic is used by peer-to-peer swaps, and about 60 percent of those swaps involve video content. IPTV adds to demand, but has been singled out most likely because there are a few large content providers to point the finger at.